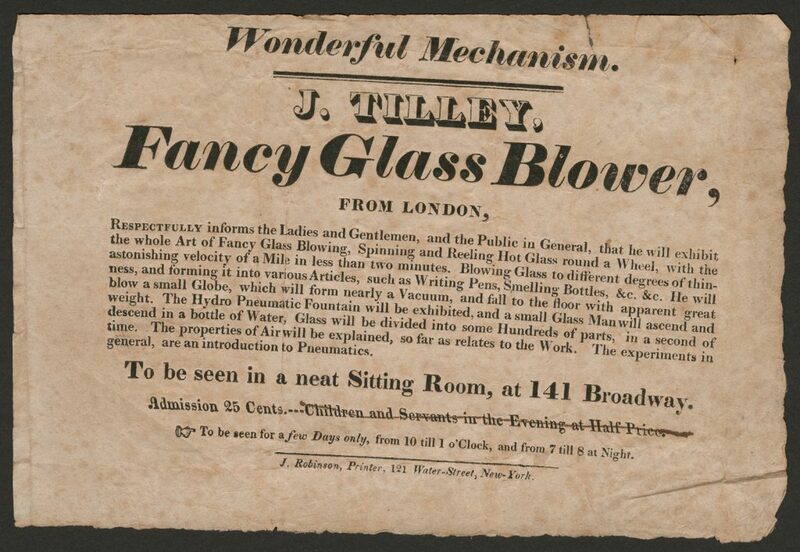 Wonderful mechanism J. Tilley, fancy glass blower, from London. New York : J. Robinson, . CMGL 163866. 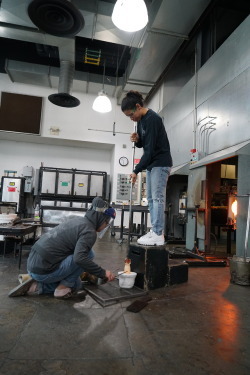 Tilley, originally from London, was one of the first itinerant glassworkers to bring his exhibition to the United States. Eighteenth-century Americans, influenced by their Puritan backgrounds, often shunned traveling entertainers and educators of any sort, some going so far as to outlaw circuses, traveling menageries, and acting troupes. Once those restrictions were lifted, Tilley and others found success touring cities along the East Coast. Like many itinerant glassworkers, Tilley invented creative ways to take his show on the road. As early as 1813, he was using a “hydro-pneumatic blow-pipe” of his own creation in his demonstrations. 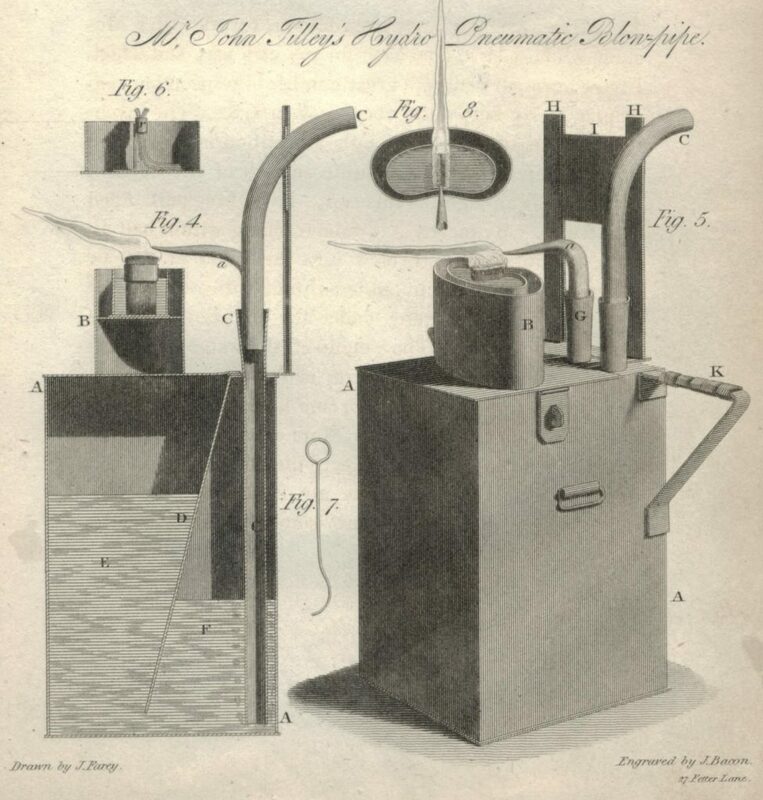 He submitted an article about this piece of equipment to the Society for the Encouragement of the Arts, Manufactures, and Commerce (now known as the Royal Society of Arts), which awarded Tilley 15 guineas for his invention. Illustration of Tilley’s hydro-pneumatic blow-pipe, from Transactions of the Society, Instituted at London, for the Encouragement of Arts, Manufactures, and Commerce, vol. 31, 1813. 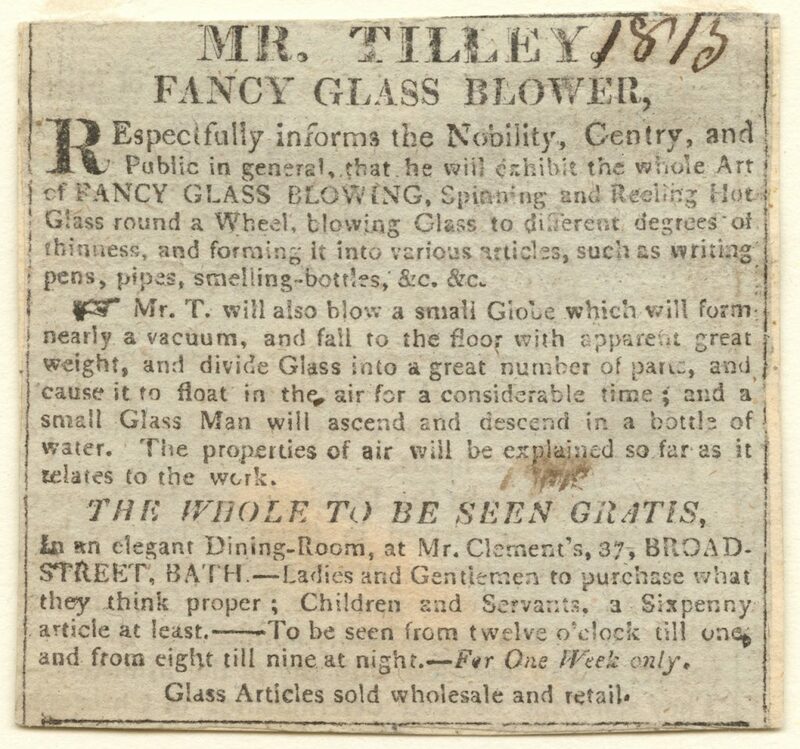 There are several other known advertisements for Tilley’s demonstrations, including an 1815 newspaper ad printed in the English city of Bath, also in the Rakow Library’s collection. Mr. Tilley fancy glass blower. [Bath, England], 1815. 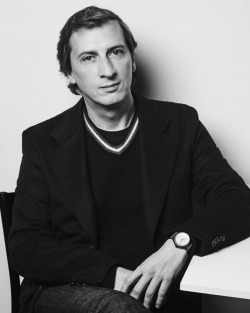 CMGL 112200. This broadside adds to our growing collection of itinerant glassworker materials, which spans four centuries of glassmaking demonstrations and displays around the world. While J. Tilley’s exhibition was “to be seen for a few Days only” we plan to make these materials available for many years to come. Visitors can learn more about itinerant glassworkers, as well as view handbills and broadsides in our 2017 exhibition, Curious & Curiouser: Surprising Finds from the Rakow Library. Generally, a broadside is a large piece of paper with a message or announcement printed on one side. Broadsides featured many types of information, including advertisements, proclamations, and poetry. They were often created for a specific purpose, like J. Tilley’s show at 141 Broadway, and were meant to be thrown away after they were no longer relevant. Think of concert posters plastered on the side of a building or flyers for a lost dog – timely in the moment, but eventually covered over by new posters or taken down when Spot is found. The temporary nature of these broadsides means we’re pretty lucky to have as many as we do. 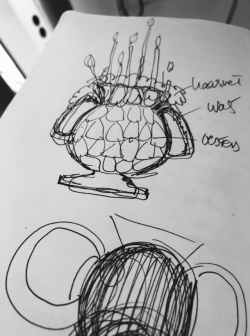 Read about other traveling glassworkers in our collection.